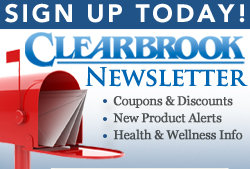 Clearbrook's affiliate program allows you to generate income from sales from customers that you refer to our website. We have developed the tools you need to be successful. You will receive your own unique URL which will automatically track all sales you generate. We even provide you with banner ads and text links that you can just choose, copy & paste!